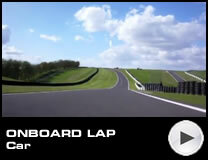 Click here for details on local hotels and bed & breakfasts near to Cadwell Park. Fondly nicknamed the 'mini-Nürburgring', Cadwell Park will celebrate its 85th anniversary in 2019. It remains as closely-held in the hearts of many motorsport fans as it ever has. Located 10 miles north of Horncastle and five miles south of Louth, the Lincolnshire circuit is especially popular with bikers nationwide. 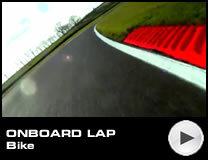 The circuit is also one of the most popular destinations on the Bennetts British Superbike calendar, with the infamous 'Mountain' section, which riders usually tackle airborne, providing a particular challenge. Fans descend on the venue in their thousands for the annual visit from the world's leading domestic superbike category, and is one of Lincolnshire's biggest sporting events of the year. As the circuit's reputation continues to build, there are an increasing number of club car events taking place at the circuit including the Historic Sports Car Club's Wolds Trophy and the popular Vintage Sports Car Club Festival, along with two vintage and classic motorcycle events and spectacular rallies. Set in the rolling Lincolnshire countryside, Cadwell Park was established when land owner Mansfield Wilkinson's sons raced motorcycles around the park. Charles Wilkinson formed the Louth and District Motorcycle Club in 1932 and staged the first race meeting on the track in 1934. Early years saw solo bikes run anticlockwise around the circuit, while sidecars raced clockwise. The length of the track almost doubled to 1.3 miles in 1953, when the ascendant 500cc motorcycle-engined F3 class was invited to race in a traditional bike meeting. Reg Spreckley thus became the track's first car race winner in his Cooper. Some 30,000 spectators were said to have watched the meeting. The original track, with its fearsome and photogenic Mountain feature, grew to its current 2.25-mile layout in 1962, allowing it to hold international motorcycling events, and also hosted the British F3 series the following May. Esteemed motorcycle racer Giacomo Agostini made his first visit to Cadwell Park in 1969, while in the same year, James Hunt and Ronnie Peterson enjoyed a famous F3 battle, with the pair finishing side-by-side. 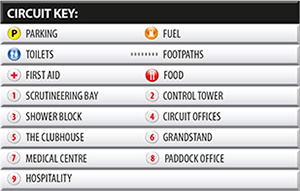 Other notable events included World of Sport Rallycross and Formula 1 Stock Car racing that used a specially designed anti-clockwise circuit at Coppice and Mansfield corners. 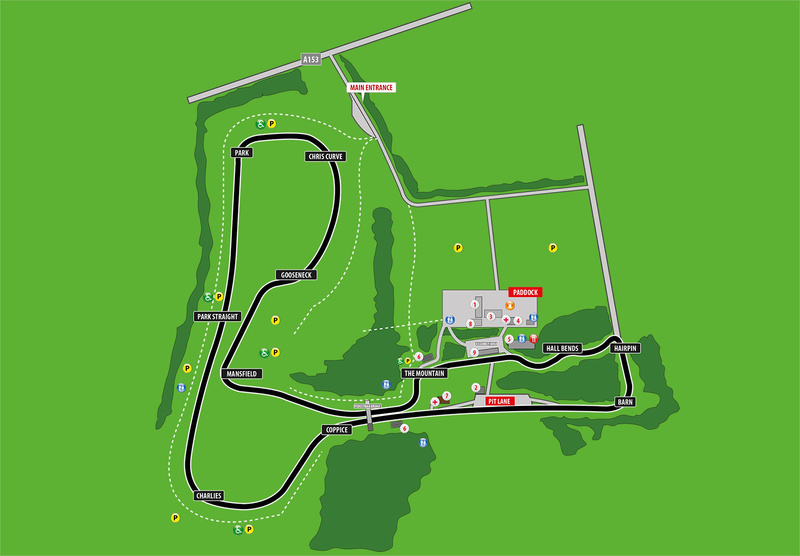 Modern day Cadwell Park has three configurations - the rarely used Woodlands circuit, the short Club circuit, and the splendid, daunting Full circuit. The circuit has always posed a challenge for drivers and riders, with the legendary Ayrton Senna among those to have been caught out at the Mountain! These days, its car racing exploits are confined to club meetings but they are invariably superb as the track's swooping nature provides fantastic racing, and the challenge has proven irresistible to drivers and riders alike. Cadwell Park remains a firm favourite with motorcycle fans, who flock to the Lincolnshire venue every August to see their heroes in the Bennetts British Superbike Championship. The most popular spot is still the Mountain, where the competitors' airborne leaps echo those of legends including Barry Sheene, Mike Hailwood, Phil Read and Derek Chatterton.